HAL Recruitment 2019: Hindustan Aeronautics Limited (HAL India) / www.hal-india.com is conducting recruitment processes to fill 13 vacancies. As of now, there are two recruitment drives going on for Senior Test Pilot Posts and Finance Officer, Manager & MO Post - SRD for SC ST OBC. HAL Recruitment 2019 - Job notification for Senior Test Pilot Posts in HAL, Bangaluru, Kanpur, Nashik on Tenure Basis. Applications are invited by Hindustan Aeronautics Limited (HAL India) on or before 06 May 2019 for 5 vacancies. HAL Recruitment 2019 - Job notification for Finance Officer, Manager & MO Post - SRD for SC ST OBC in HAL, Bangalore, Karnataka, Korwa, Uttar Pradesh, Koraput, Odisha. Applications are invited by Hindustan Aeronautics Limited (HAL India) on or before 02 May 2019 for 8 vacancies. HAL Recruitment 2019 - Walk in for Part Time Doctors Posts in HAL, Nasik, Maharashtra on Temporary Basis. Candidates are invited by Hindustan Aeronautics Limited (HAL India) to attend walk-in-interview to be held on 15 Apr 2019 09:00 AM for 2 vacancies. HAL Recruitment 2019 - Job notification for PRT & TGT Posts in HAL, Bangalore, Karnataka. Applications are invited by Hindustan Aeronautics Limited (HAL India) on or before 10 Apr 2019 03:30 PM for 3 vacancies. HAL Recruitment 2019 - Job notification for Operator Posts in Naval Aircraft Yard (NAY), Goa on Tenure Basis. 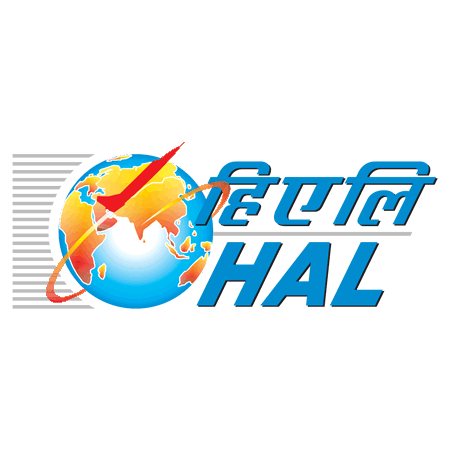 Applications are invited by Hindustan Aeronautics Limited (HAL India) on or before 11 Apr 2019 for 5 vacancies. HAL Recruitment 2019 - Job notification for Lab Technician (Part Time/ Visit Basis) Posts in HAL, Bangalore, Karnataka. Applications are invited by Hindustan Aeronautics Limited (HAL India) on or before 22 Mar 2019 for 2 vacancies. HAL Recruitment 2019 - Job notification for Part Time Doctor Post in HAL, Koraput, Odisha. Applications are invited by Hindustan Aeronautics Limited (HAL India) on or before 28 Feb 2019 for 1 vacancy. HAL Recruitment 2019 - Job notification for TGT & PRT Posts in HAL, Bangalore. Applications are invited by Hindustan Aeronautics Limited (HAL India) on or before 19 Feb 2019 04:00 PM for 6 vacancies. HAL Recruitment 2019 - Apply Online for 77 Assistant & Operator Posts in HAL, Lucknow, Uttar Pradesh. Online Applications are invited by Hindustan Aeronautics Limited (HAL India) from 30 Jan 2019 to 14 Feb 2019 for 77 vacancies. HAL Recruitment 2019 - walk in for Expert Post - Russian Language Interpretation in HAL, Nasik, Maharashtra on Requirement Basis. Candidates are invited by Hindustan Aeronautics Limited (HAL India) to attend walk-in-interview to be held on 30 Jan 2019 08:30 AM for 1 vacancy.